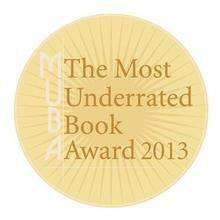 On behalf of the whole team at Peril, we wanted to extend our warmest congratulations to Merlinda Bobis, on her recognition as the winning title at The Most Underrated Book Award (MUBA) 2013. In a ceremony held at the Wheeler Centre in Melbourne, Merlinda’s beautifully poetic tale of love and death set across the Philippines, Australia and Hawai’i was recognised as “an outstanding title released by a small and independent Australian publisher that, for whatever reason, did not receive [its] fair dues when released”. We highlight this award not only because Merlinda Bobis is a writer whose contribution to the Peril Map, Water Earth, demonstrated once again the qualities of this original voice, but also because the award itself is aligned with Peril’s desire to support and value those publishers working to share fine writing that may not ordinarily receive mainstream attention. Whiskey Charlie Foxtrot, by Annabel Smith (Fremantle Press). Once again, on the half of the whole team at Peril, we pass our warmest congratulations to Merlinda for the award and to Spinifex Press for their continued courage and integrity in the support of writers and readers alike.